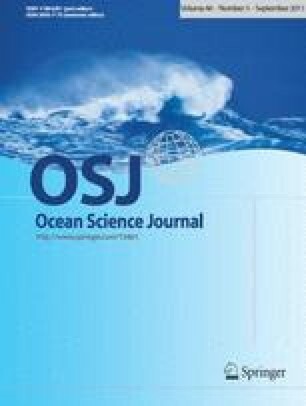 The integration of remote sensing data of suspended particulate matter (SPM) into numerical models is useful to improve the understanding of the temporal and spatial behaviour of SPM in dynamic shelf seas. In this paper a generic method based on the Ensemble Kalman Filtering (EnKF) for assimilating remote sensing SPM data into a transport model is presented. The EnKF technique is used to assimilate SPM data of the North Sea retrieved from the MERIS sensor, into the computational water quality and sediment transport model, Delft3D-WAQ. The satellite data were processed with the HYDROPT algorithm that provides SPM concentrations and error information per pixel, which enables their use in data assimilation. The uncertainty of the transport model, expressed in the system noise covariance matrix, was quantified by means of a Monte Carlo approach. From a case study covering the first half of 2003, it is demonstrated that the MERIS observations and transport model application are sufficiently robust for a successful generic assimilation. The assimilation results provide a consistent description of the spatial-temporal variability of SPM in the southern North Sea and show a clear decrease of the model bias with respect to independent in-situ observations. This study also identifies some shortcomings in the assimilated results, such as over prediction of surface SPM concentrations in regions experiencing periods of rapid stratification/de-stratification. Overall this feasibility study leads to a range of suggestions for improving and enhancing the model, the observations and the assimilation scheme.